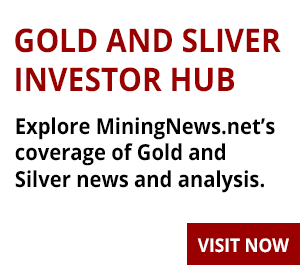 RESOURCEStocks: What do you believe sets Kin apart from other ASX-listed gold juniors? Andrew Munckton: Unlike many other junior gold companies, Kin has in excess of 1Moz of resources. We're also adding to that resource base with an expanded drill program and examining those orebodies at depth, as opposed to doing more holes in the oxide dome, which has been the historical way Kin approached it. We have a pretty clear understanding now of the pathway to production and I think that differentiates us versus a number of other juniors who are still looking for that pathway. And this Leonora region is a very active region. A number of the majors work here and it's extremely well serviced by infrastructure - gas, power, water, mining services, etc. It's not as though we're developing a project hundreds of kilometres away from the nearest population centre; we're 40km from Leonora. So they're the key elements that give us a point of difference. 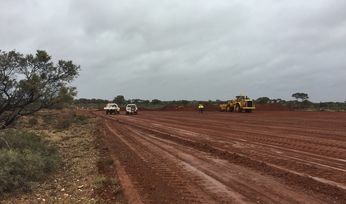 RS: Kin paused development at the Leonora gold project earlier this year as costs increased above forecast and the company wanted to capture further upside. How is this work progressing? AM: We suspended the construction in April and that decision wasn't taken lightly by the board. There was a lot of consideration given to alternative approaches. But at the end of the day, the work on the project - after the construction of the plant was suspended - has continued because there's a raft of things to do. It's not as if we've stopped dead in the water and suspended everything. There's been a large volume of work with the drilling and the resource evaluation being the focus this last 3-4 months. 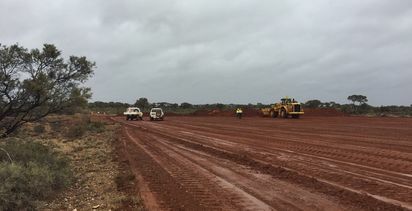 The plan to reposition the project for redevelopment centres on adding additional ounces, particularly at depth under the already defined orebodies, and bringing those higher-grade ounces to account in the mine plan. Once that is all complete and we've mapped out the mine plan and mine schedule and fed that into the process plant model, we can then generate all the detail, the operating and capital cost estimates for the project, and we also have to come up with more robust operating and capital cost estimates for long-term power supply, water supply and tailings dams which are other key elements of any project development, and that's where the progress has been over the last six months or so. RS: Having joined Kin about six months ago, how would you summarise what the company has achieved in this period as it looks to reshape its path towards development? AM: In summary, it's been a reset of the strategy of the whole of the organisation. Originally the strategy was to fast-track to deliver a processing plant that was producing gold by Christmas-time this year. It's now a much more considered, conservative approach to derisk the project elements and build the project conventionally, as opposed to fast-track. That requires completing assessments of all the project development costs, executing the planning on the construction, continuing with our exploration strategy to define higher-grade material at depth under the existing deposits and to find additional deposits that will feed into the back half of the life of the project. Of course, with all those infrastructure and supply elements, haul roads, etc, that need to be part of the development, it's really about Kin doing a conventional project construction and that's required us to raise capital to fulfil that. Back in July this year we raised A$11.3 million to restructure the debt position and reposition the finance of the company to be able to execute on the strategy. RS: Can you explain the significance of the recent resource update at the Helens deposit, which saw a 92% increase to 70,900oz and indicated depth potential? AM: I see the Helens upgrade as indicative of what can be achieved here at the LGP by drilling some of these deeper holes. The Helens deposit is a relatively small deposit in the scheme of the whole project but I think it indicates that the near-surface environment, which is where all the drilling has been to date (and no deeper than 60-70m in most cases), is an indicator of the better, higher-grade material that there is at depth. To be able to increase the grade as well as the tonnages was a very pleasing result. Grade obviously has an impact, it goes straight to the bottom line of any project development. And additional tonnage strengthens the ability of the process plant to run as a conventional plant, running consistent numbers and consistent throughput over a longer period of time. So I think Helens is indicative of what we are chasing in some of the other, larger deposits around the project and we'll see some of those larger deposit results coming to fruition over the next 6-12 months, hopefully. RS: What are Kin's other exploration priorities in the coming months and why? AM: There's three major areas of mineralisation at the project: Helens, Bruno Lewis and Mertondale. Historically Mertondale has been exploited more than either Helens or Bruno Lewis. There are some old established pits down to about 100m at Mertondale. But the focus is on Helens initially, Bruno Lewis as a second phase and then Mertondale and within that we're going to do that in bite-sized chunks. We've done a phase one drilling program at Helens in one bite-sized chunk. We've done a phase one at Bruno Lewis. We'll step onto phase one at Mertondale, followed by phase two at Helens, phase two at Bruno Lewis and potentially phase two at Mertondale. So it's in blocks of three months' worth of work essentially, we've done two and we have three or four to go. It's the only way to get our understanding of the ore systems at depth without having to drill large volumes of work in short periods of time. We now have a good handle on Helens at depth, we'll get a pretty good handle on Bruno Lewis in this next short period of time and we'll go back and do phase two on those in the next 6-12 months. RS: Looking to the project's development, water supply has been deemed a critical item. What progress is being made in terms of bore water testing? AM: A reliable water supply is obviously a critical element of any project development. Originally the supply water from a creek close by to the Cardinia plant, called Cardinia Creek. But the exploration work at Cardinia Creek indicated there wasn't going to be enough water there to supply all of the demand for the plant, so we've gone to a location called Bummer Creek 13km south of the plant and the first three production bores we put in there have indicated a strong supply of water at sustainable levels. So Bummer Creek is likely to be the long-term supply and we'll supplement that with smaller supplies from Cardinia Creek as and when additional supplies are required, and we'll need to engineer and build a pipeline when we've had the long-term supply permitted. RS: An external review didn't identify any fatal flaws in the Cardinia plant construction plan - what do you see as the key areas that can be optimised? AM: The original plan was to treat predominantly oxide and transitional material and the combination of second-hand plant from Lawlers and some new components from the Cardinia plant was suitable for that. We've got to go back and test the assumptions in the light of new hard rock supply at higher grade becoming available from Helens and hopefully from Bruno Lewis as well. That processing facility will include some of the Lawler's components but not necessarily all of them. I think there's a chance to simplify the plant that we're proposing to build but we need to do all the technical work to ensure the plant we build is actually suitable to the orebodies we're going to feed through it. There's a fair bit of work associated with checking and double-checking all the elements of that, that will result in a new capital cost estimate, a new operating cost estimate and I'm hoping a simpler plant than was originally envisaged. RS: How do propose maximising long-term value for shareholders? AM: The next phase of work is really about derisking the project and what we build at the project. While that is probably undervalued by much of the market, derisking one of these projects is a very important step to ensure you get the return you believe is possible from a project like this. So the strategy is all about derisking and checking all the components of the project, and expanding the resource base, to maximise the value for the shareholders going forward. Ultimately, I think we'll end up with somewhere in the 80,000-100,000oz run rate, as opposed to the 50,000-55,000oz production run rate that was envisaged when the project was first mooted for construction. It's about growing the output while ensuring that the risk profile is better than it was in the previous incarnation. RS: Finally, what milestones are you targeting in the next six months? 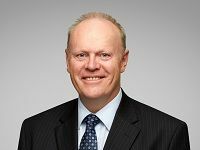 AM: I think the things that will be in the market in six months' time are updates on the Bruno Lewis and Mertondale drilling programs, additional resource estimates for Helens and Bruno Lewis and the exploration results that lead into those updates. We're also running metallurgical assessment of the hard rock material and the water exploration program is continuing as well. So I think you'll start to see more of those elements finalised. Within six months, we'll start to see what the power supply and engineering design and scheduling of the plant build looks like as a first cut. We won't be final on that but we'll be well advanced in our understanding of what the size and shape of this project's going to be. It's all about getting the broad picture in this next six months and then in the following six months, getting down to the detail of all the elements.